Open Shop - Come early. Bob Edwards has been turning for what seems like forever. Living with a talented and creative wife he searched for an outlet of his own. 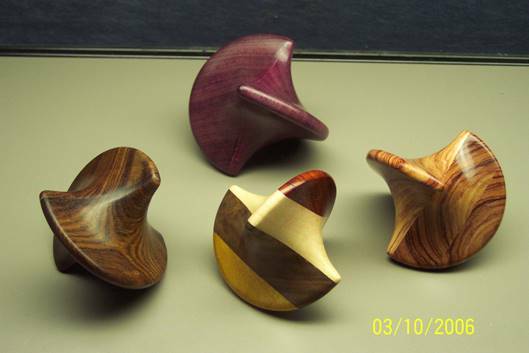 Nothing seemed to satisfy until he discovered Woodturning. That was over 40 years ago and his enthusiasm has never dwindled. Not having the patience for pen making or segmented work he is content with just about anything else. Bob's been a member of the AAW sense it's inception with a member number of 1210. 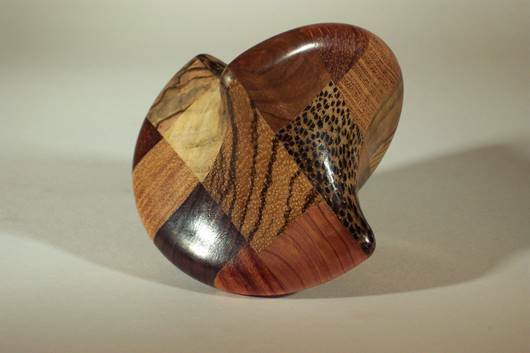 Bob will turn just about anything that will stay together while turning but his favorite material is Mesquite. Bob loves to travel and when he does he takes along some Mesquite to trade with turners along the way. He enjoys teaching and demonstrating to others but has a rather different approach. Rather than demonstrating how to turn one object he prefers to show how to use the tools to create your own forms. His demonstrations are light hearted as he will sometimes deliberately make a mistake to illustrate a point. Bob encourages participation and discussion during his demos, it's like group therapy. He often learns as much from his audience as they do from him. I have held multiple positions within the CTWA, including president.